A few different varieties of curly leaved kale is organically grown at the farm. You will receive a nice bunch of freshly harvested kale of what ever is available. 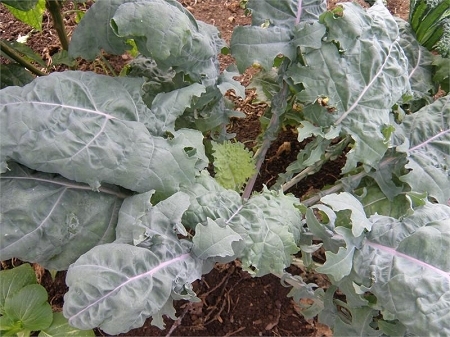 Curly kale leaves are tender and have a pleasant mild flavor. The center stem is large and tough and should be removed before using the leaves. Take a knife and run down each side of the stem to remove it. Stems can be juiced or composted. Use raw in Chipotle Kale Chips, Lemon Dijon Mustard Kale Salad or in smoothies. Or when cooking kale, add it towards the end of cooking in soups for example. Check out FSM blog for recipes. Sold in a 5 oz. bunch.